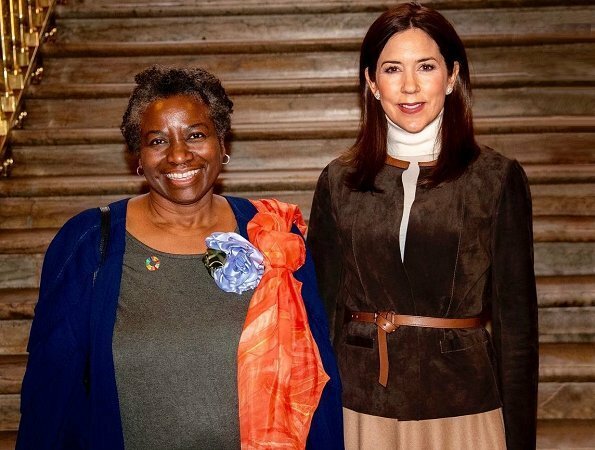 On February 6, 2019, Danish Crown Princess Mary received Executive Director of United Nations Population Fund (UNFPA), Dr. Natalia Kanem at Frederik VIII's Palace. At the meeting, Executive Director of UNFPA, Dr. Natalia Kanem briefed about the organization's ongoing activities, priorities and the challenges the organization faces in its global work. Crown Princess Mary of Denmark is the patron of international development organization of United Nations Population Fund, UNFPA. That organization deals with women's health and children's rights. Gracious, does this lovely woman "our princess," ever get 10 minutes for herself, ever get time to relax? I wonder that a lot also. And with Fredrick's brother and wife departing for Paris, Mary will be doing more, if what she is doing now is not enough. She always looks lovely, cool and serene. Love her Family. Mary sacrifices a lot for her adopted country. She is so lovely.